Canada Jetlines, the start-up airline that seems all set to become Canada’s ultra-low-cost-carrier with plans to operate flights across Canada and provide non-stop service from Canada to the United States has announced new route plans. The airline says it wants to put its Airbus A320 aircraft on direct flights from Aéroport Montréal Saint-Hubert Longueuil (YHU) to several cities in Canada including cities in Quebec, as well as US destinations including Florida and New York. Montreal Saint Hubert Airport (pictured below) is being expanded as part of a plan to position itself as a low-cost airport serving Quebec and Montréal. The airport’s location is closer to Montréal’s business and leisure core than Montréal’s main airport, Pierre Elliott Trudeau International Airport. Montreal Saint Hubert Airport is expected to be able to support ULCC airlines like Jetlines as early as the end of next year. The airport recently upgraded its runway, a project that received support from the federal government, who injected $13 million into the project. Montreal Saint-Hubert also has plans to build a new passenger terminal building. 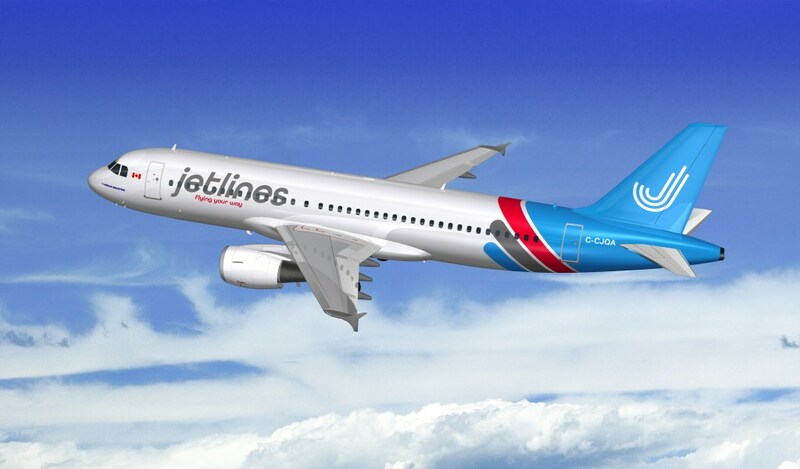 “Jetlines is committed to becoming Canada’s first true ultra-low-cost carrier. It’s not fair for Canadians to have to consistently overpay for their air travel, whether be it to travel for leisure or to visit their friends and family. Jetlines is here to put an end to this. Our partnership with Montreal Saint-Hubert airport is a crucial milestone in our vision for air travel in Canada, as well as for our long-term plans”, added Mark Morabito, Executive Chairman. “We are particularly pleased with Jetlines’ announcement today. Offering a low-cost alternative for air service to other cities in Quebec, Canada and the United States is in direct alignment with our vision for the development of the airport. Florida is a favourite destination for Quebecers and this new service will help us repatriate the exodus of Canadians flying to the United States from border airports such as those in Plattsburgh and Burlington. And, this announcement certainly validates our request to Minister Garneau for assistance regarding Canadian Air Transport Security Authority (CATSA) services and the need to re-examine government agreements signed decades ago that currently limit our access to these markets. We are currently examining the use of a temporary facility so that we may accelerate this service offering”, said Jane Foyle, General Manager of DASH-L, the non-profit organization that manages the airport.